Not sure how to choose the best OIL-GLO® dye, dilution ratio and Spectroline® inspection lamp for your oil application? These kits are specially designed to collect and analyze hydraulic oil samples to assist you in selecting the right fluorescent dye and inspection lamp to meet your exact leak detection requirements! 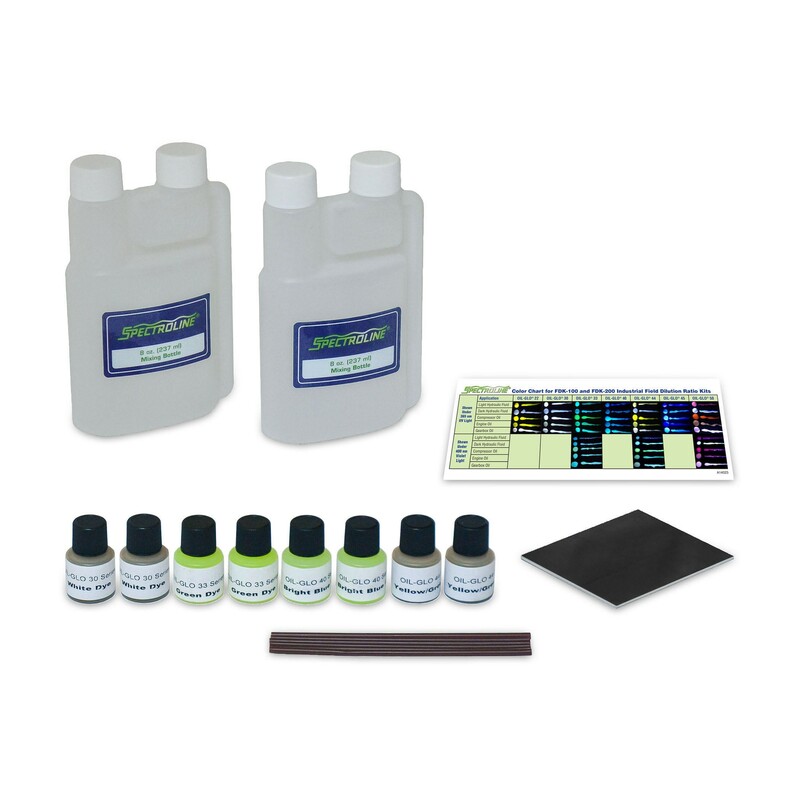 Choose from two do-it-yourself field test kits or our mail-in kit to get an expert analysis by Spectroline®. Test your oil samples yourself, right in the field! These two convenient kits contain everything needed to collect samples and do a fast analysis to determine the right OIL-GLO® dye, dilution ratio and Spectroline® leak detection lamp. Easy to use, mess-free and disposable! Each kit comes complete with a color chart, instructions, black evaluation plate, applicators and two 8 oz (237 ml) mixing bottles.